’69 Michael GERBER, reflecting on the Pioneer Reunion in September, part of the 2015 Founders Celebration, wonders, “Has there ever been a more splendid company of friends than the pioneer students who arrived to begin Cowell College and UC Santa Cruz 50 years ago?” Warren L. NELSON, a partner at Irvine-based Fisher & Phillips, was selected for inclusion in The Best Lawyers in America 2016. Fisher & Phillips is a national labor law firm. Nelson has been listed in The Best Lawyers in America since 2010. ’73 Rick EDSON’s life is pretty much perfect. See next entry for why. ’74 Carol EDSON and Rick EDSON (Cowell ’73) just celebrated having been married 40 years. OLD Slugs is right. They met as RAs in Cowell’s Parkman dorm, and have been a team ever since. Rick plans to retire in the next year or so, and Carol has left her nursing career to work at the local community college as the geology/oceanography lab tech. Rocks and maps don’t have crises … so it is a rewarding and stimulating third career with far less stress. Namaste. David ESTERLINE was named president of Pittsburgh Theological Seminary. He was previously the director of the Institute for Cross-Cultural Education at McCormick Theological Seminary and was the dean of faculty and vice president for academic affairs at McCormick from 1999–2009. ’76 Virginia Burton WHITEHEAD, known as Ginger Burton, recently retired from a 25-year career as a high school teacher. See the Facebook page “The Cell Hotel” for what she is working on now. ’77 Robert LOMBARDI recently finished his second motorcycle trip to Alaska, this time up the Cassiar, Alaska, Elliot, and Dalton highways all the way to the Arctic Circle. Mud (the Dalton is unpaved), rain, and hungry bears added to the intensity of another bike-borne riding religious experience. Now the challenge is to select and plan for the next “LSD” trip (Long, Stupid, Dangerous). ’81 Yuichi SHODA, a University of Washington psychology professor, was honored with the Golden Goose Award, given by the Association of American Universities, together with the American Association for the Advancement of Science, the Science Coalition and other agencies, for his ongoing participation in a well-known—and perhaps slightly misunderstood—long-term study about delayed gratification. ’88 Hammon ACUNA was appointed by the Cooperative of American Physicians, Inc., to senior vice president of business development. Hammon lives in Silverlake, Calif., with his husband, Jeff Muehl, and their 5-year-old daughter, Lola. Waterfall a New Musical at the Pasadena Playhouse in May and June 2015. ’97 Amy Kate BAILEY authored Lynched: The Victims of Southern Mob Violence with coauthor Stewart E. Tolnay. Bailey is assistant professor of sociology at the University of Illinois–Chicago. ’03 Stephen BRINDLE joined the Real Estate Practice Group of Wendel, Rosen, Black & Dean LLP. He was previously a contract attorney at Gap Inc. in San Francisco. ’12 Danielle TENTSCHERT studied cheetah physiology and ecosystem management with the Cheetah Conservation Fund in Namibia in summer 2015. Tentschert, an insurance agent at Geico in San Diego, Calif., took the graduate course in pursuit of her master’s degree from Miami University’s Global Field Program. ’68 Raymond STEINER’s book, Deconstructing the New World Order, is now available at Amazon.com. ’69 Cheryl THURBER donated her folklore fieldwork documentary photographs to the University of North Carolina Chapel Hill (“Cheryl Thurber Photographic and Related Materials Collection, circa 1969-2010 (bulk 1969-1989”). As a lifelong collector, she is now making decisions about eventually scattering her collections of books, records, ephemera, and ethnic art. UC Santa Cruz will be included in those donations along with the University of Mississippi, where she earned her Ph.D. in history. This isn’t downsizing yet since items needed for current and future research will be retained. ’76 Rena GRANT lives in Seattle with her husband, Steve GRANT (Merrill ’78), where she continues working in the adoption field after 30 years. Steve was trained as an architect and sometimes practices architecture but more often works as a project manager. Their daughter recently graduated from college. ’77 Kelvin D. FILER‘s book, Race Ipsa Loquitur: A Poetic Diary of My Journey from Compton to the Los Angeles Superior Court Bench, is the story of his eventful life. Filer is a Los Angeles County Superior Court judge. ’80 Kevin RENNER is senior vice president of marketing and product management for eMindful. The company is the first to provide mindfulness training programs to employers and individuals around the world through live, online classrooms. He splits his time between Vero Beach, Fla., where the company is based, and Portland, Ore.
’92 Aaron SEGAL recently celebrated 20 years with Paramount Pictures. ’93 Michelle CORRAL joined biotech company OncoMed Pharmaceuticals, a company developing new drugs to combat cancers, as head of investor relations and corporate communications. She lives in San Francisco with her spouse and two daughters. John SCHWEITZER last year became certified as a college planning consultant for the Heartland Institute of Financial Education. ’99 Meredith OBENDORFER is now a vice president at DKC, a public relations and government affairs firm, where she handles PR for DKC’s technology-focused clients. She’s also a mentor with the U.S. State Department’s TechWomen program. In her spare time she’s a passionate outdoorswoman and a competitive cyclist. She lives in San Francisco. ’02 Tao ORION published a new book, Beyond the War on Invasive Species, which examines our current system of restoration that relies heavily on complete eradication practices and argues that invasive species management needs a more holistic, permaculture-inspired approach. Orion teaches permaculture design at Oregon State University and at Aprovecho, a nonprofit sustainable-living educational organization. ’10 Justin KATZ has started his own online photography business centered around his collection of fine art landscape photos. He has used the business and marketing experience at his recent jobs to pursue his true passion of photography. See his portfolio at www.jkatzphoto.com/Fine-Art-Landscape-Photography. ’95 Anthony QUAN completed duties as a member of the California state science framework committee. He is now the president of the Southern California Association of Science Specialists. ’06 Brian MOSHOFSKY, a first-year teacher at Orange High School, was chosen by the Knowles Science Teaching Foundation as a member of its 2015 cohort of Teaching Fellows. He was the recipient of one of 34 KSTF Teaching Fellowships awarded to early-career high school mathematics and science teachers last year. ’72 Robert DAWSON’s images of public libraries were acquired by the Library of Congress, representing the largest acquisition of library photography by the Library of Congress since the early 1900s. The Library acquired 681 photographs from Dawson’s “The Public Library: An American Commons,” a photographic survey of public libraries in the United States. The photographs significantly expand the Library’s holdings that describe the American public library—as architecture, community spaces and a reflection of the contemporary social landscape. ’91 Carl ZIMRING is an associate professor of sustainability studies at the Pratt Institute in Brooklyn. NYU Press published his book, Clean and White: A History of Environmental Racism in the United States at the end of 2015 (nyupress.org/books/9781479826940). ’01 Edlyn PEÑA, an assistant professor in higher education leadership at California Lutheran University, was appointed by Secretary of Health and Human Services Sylvia Burwell to a four-year term on the Interagency Autism Coordinating Committee. The committee is tasked with making recommendations to Burwell and other federal officials on autism-related programs. ’78 Wayne HORVITZ is celebrating the release of his new album Some Places Are Forever Afternoon, a full-length suite of 12 compositions written in honor of the iconic Northwest poet Richard Hugo. From West Marginal Way to La Push to the Union Bar Grill in rural Montana, Horvitz followed Hugo’s footsteps and visited some of the people and places that inspired the poet. Horvitz and his band toured the album in fall 2015 with stops in the Northwest and New York City. For more info, visit waynehorvitz.net. ’96 Amber SEALEY is a filmmaker in Los Angeles. She launched a new film, No Light and No Land Anywhere, in early June. ’04 Bethany MORROW signed a two-book publishing deal in June 2015. Represented by Trident Media Group, her literary science fiction will debut in 2016. Bethany lives with her husband and son in Montreal, Quebec. ’77 Paul BABB retired after 30 years of service to the UC Santa Cruz Fire Dept. He is now living in Bonny Doon and having fun spending time doing nature photography (mainly birds). Other activities include scuba diving, travel, working on the house, and spending time with grandkids. ’78 Michael CENTER has lived in Colorado since 1981, has sent his last child off to college, and continues to be active in sales and marketing working on new technologies for the food industry. ’81 Parry HESS is a senior-level psychologist who retired in September 2015 from the Federal Bureau of Prisons after 29 years of continuous government service. In 1993, he was one of the staff who activated MDC Brooklyn, the largest federal pretrial facility in the United States. Until his retirement, he continued working at the Brooklyn facility in a supervisory position, training new staff, acting for chief psychologists in their absence, and overseeing the provision of substance abuse services to male and female inmates. Kim (CLOUGH) Blackwolf (who is also a graduate of the Farm program ’81) has been living in Southern Oregon for the past 30 years. Now in Ashland, she is a farmer, professional gardener, and teacher. Her daughter, Quinn, 19, is attending the University of Oregon. She is looking for Melinda Waterman (Kresge ’81) and would love to hear from her. ‘82 Nana MONTGOMERY makes her home in Santa Cruz and has been working for the past several years as a licensed clinical social worker (LCSW) for the U.S. Department of Veterans Affairs, assisting homeless veterans in Santa Cruz find secure and permanent housing. She earned her master’s in social work degree from San Jose State ’08. As an active artist, she also spends her time showing and selling her art quilts both locally and internationally (MFA from San Francisco State ’90). See her artwork at www.bluesharkdesign.com. ’92 Jeremy D. YUNT published his fourth book, Love, Gravity, and God: Religion for Those Who Reason (Barred Owl Books, 2015). Focusing on the existentialist philosophy and progressive theology of Paul Tillich, America’s most renowned theologian, it challenges the anti-reason, anti-science, and supernatural belief system of fundamentalist religion. Former UC Santa Cruz professor Paul Lee, Tillich’s teaching assistant at Harvard in the 1960s and founding chair of UC Santa Cruz’s Religious Studies Department, provides the introduction to the book. ’94 Jes CISNEROS married Bonnie Leggo, LCSW, in Cedarburg, Wis., on July 25, 2015. On October 26, 2015, they welcomed into the world Madeleine Therese Cisneros, born in Milwaukee, Wis., two weeks past her due date! They’re both looking forward to getting back on their bikes in 2016. ’99 Tonya BURKE obtained a master’s degree in clinical psychology from Pepperdine University in 2003 and is working toward completing an industrial and organizational psychology doctorate dissertation from Walden University. She was elected to the Perris City Council in 2014 and is serving as mayor pro tem. In February 2015, she was selected by Assemblymember Jose Medina to receive the 61st Assembly District Woman of Distinction Award. Additional information can be found at www.tonyaburke.org. ’03 Quressa ROBINSON was recently promoted from editorial assistant to assistant editor at Thomas Dunne Books, a division of St. Martin’s Press. Her first three acquisitions will be out this year: Spells of Blood and Kin (June 14, 2016), The Spice Box Letters (September 13, 2016), and Certain Dark Things (October 18, 2016). She has worked in the publishing industry for four years and previously worked as a writing instructor at Columbia University, where she also received an MFA in creative writing. ’76 Henri (FINGOLD) Bensussen published a chapbook of poems, “Earning Colors,” this spring with Finishing Line Press. She lives in the northern, non-confederate town of Fort Bragg, Calif.
’87 Lawrence COATES published two new works of fiction in fall 2015: The Goodbye House: a Novel in September and Camp Olvido: A Novella in October. ’89 David WHITNEY is working hard at his eponymous seven-person architectural firm in San Jose. They are working in Silicon Valley and around the country on offices, R&D labs, and other special projects. ’10 Ryan D. FRISCIA has been appointed manager of sales administration and finance at Starz. He will be in charge of sales and contact administration and financial analysis of deals within the group. Friscia was previously manager of international finance and contract administration at Relativity Media. ’14 Colin DIAZ is the marketing and sales director with the Santa Fe Springs Chamber, as well as the owner of FocusonWIN Enrichment. Upon graduation, he continued pursuing higher education with two master’s degrees, including a MBA in sports, entertainment and business management from Duke University. When he is not working and volunteering, he is spending time with his wife Alicia of four years and 2-year-old daughter, Shanice. He misses UC Santa Cruz and attributes a lot of who he is on the molding environment he experienced there. ’08 John PRUDHOMME has joined the Texas office of Hall, Render, Killian, Heath & Lyman, the largest health care–focused law firm in the nation. ’91 MA, ’95 Ph.D. Josie MÉNDEZ-NEGRETE wrote A Life on Hold: Living with Schizophrenia, about the emotional journey of watching her son Tito struggle with schizophrenia. She is a sociologist who teaches Mexican American studies in the Department of Bicultural-Bilingual Studies at the University of Texas at San Antonio. 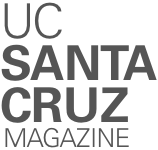 ’12 Tiffany WISE-WEST is a principal at EcoShift, a Santa Cruz–based firm led by UC Santa Cruz alumni. The firm last year released a groundbreaking study finding that ending new fossil fuel leasing on lands and offshore areas controlled by the U.S. government would keep up to 450 billion tons of greenhouse gases from polluting the atmosphere. ’90 Holly R. SMITHSON (Merrill) passed away in January 2015 in Arlington, Va., at age 48 after a recurrence of the breast cancer she had fought off successfully in 2010. She was interested in fencing, dressage, agroecology, and things creative. In 1992 she married James MCREA (Cowell ’89). She worked tirelessly for nonprofits in children’s health care, but eventually followed in her mother’s footsteps and joined the Foreign Service in 1999. For the past 16 years, she worked as an IT manager and diplomat for the U.S. Department of State, living and working in Moscow, Russia; Riyadh, Saudi Arabia; Pretoria, South Africa; Frankfurt, Germany; and Arlington, Va. Active and always deeply interactive in the community, she was a friendly introduction to America and Americans in all the places she lived. She is survived by her sister, her two children, Graham and Geneva, and her husband, James. ’98 Danielle “Dani” Marie (JAVIER) Johnson (Cowell), of Mountain View, passed away peacefully at El Camino Hospital on July 28, 2015, due to a stroke. She was 42. She attended De Anza College, then UC Santa Cruz, graduating Phi Beta Kappa with a BA in literature in 1998. She pursued a career in publishing, excelling at Mayfield Publishing Company as print buyer, then at Sunset Books as prepress coordinator. In the last year of her life, she served as the office manager of California Wood Floors in Redwood City.